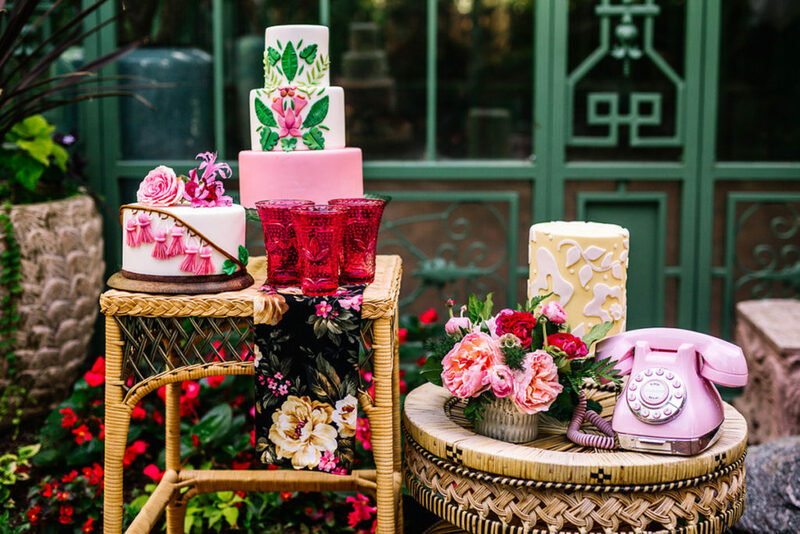 Part rock n’ roll chic and part garden party, this inspiration shoot, featured on Green Wedding Shoes is the perfect mix of bold and bright for any fun-loving couple! 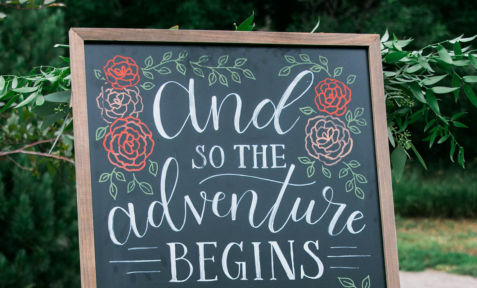 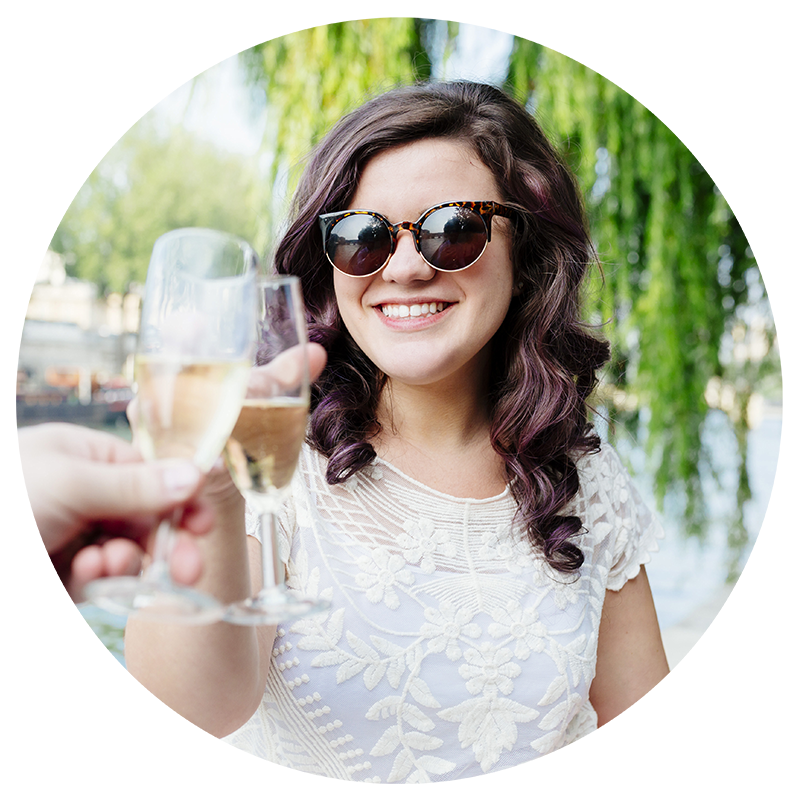 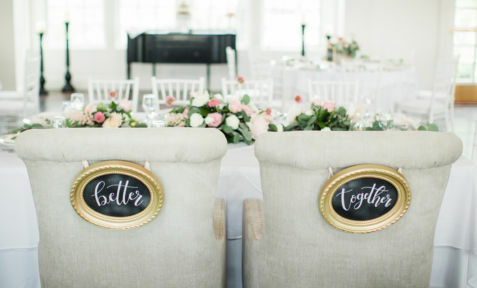 This vision grew out of a challenge a lot of couples face when planning a wedding – how to make it their own and show off their personalities while still maintaining the style and elegance a wedding deserves. 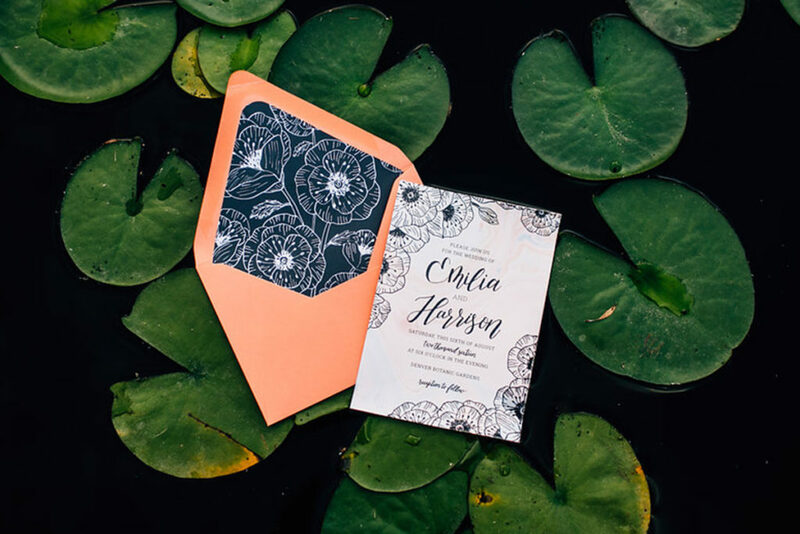 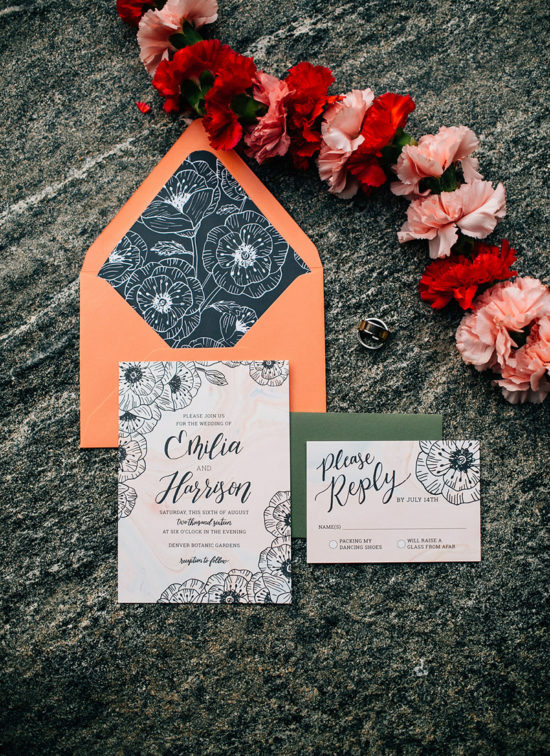 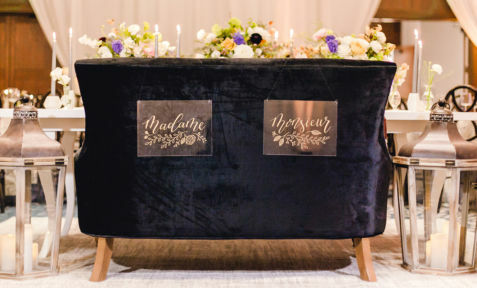 We aimed to style a setting that would inspire quirky couples with the juxtaposition of both edgy and feminine details; like bright florals, eclectic decor, and the thoughtful use of black in the palette. 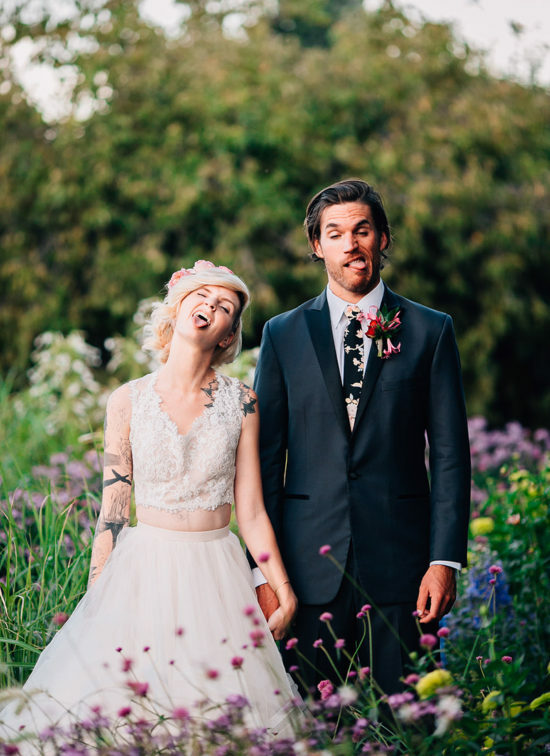 Check out the Green Wedding shoes feature here. 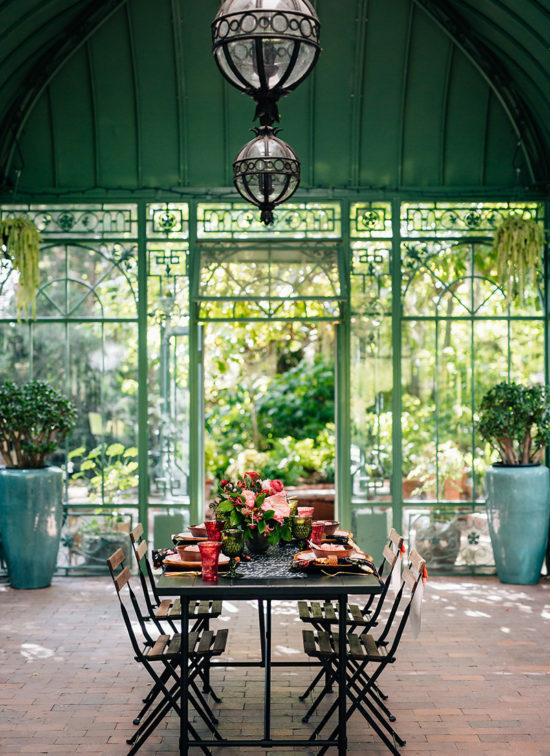 The inherently whimsical setting of the Denver Botanic Gardens was key in achieving this theme. 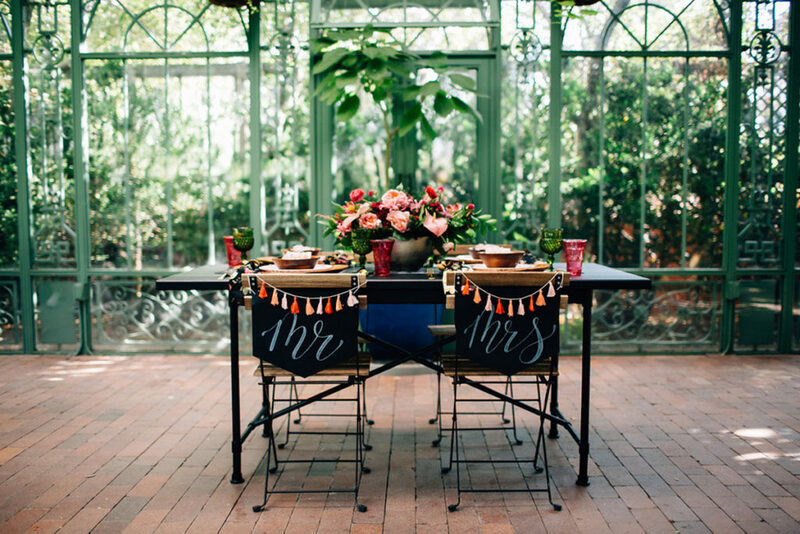 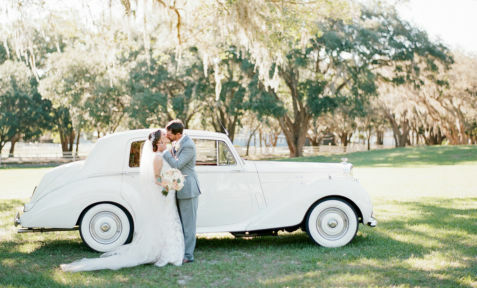 The historic solarium is a wonderfully intimate venue that exudes eclectic charm. 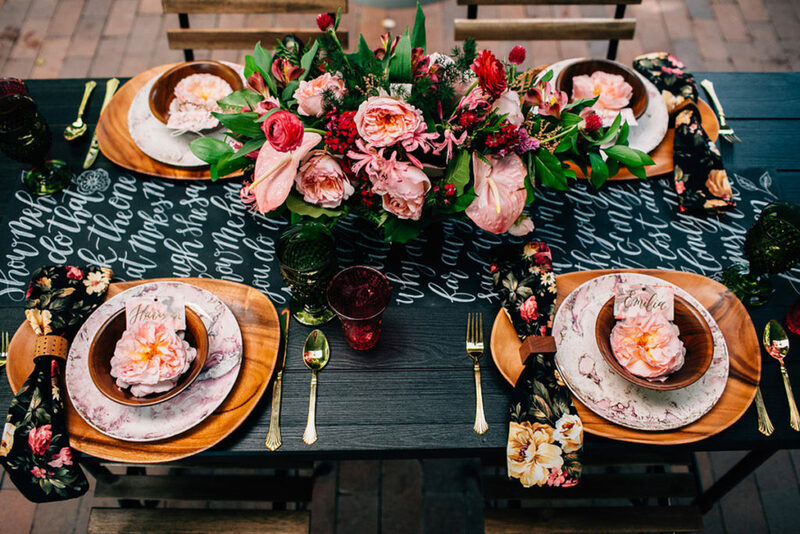 Inside, our wedding tablescape mixes tones of pink and black with the warmth of natural wood accents. 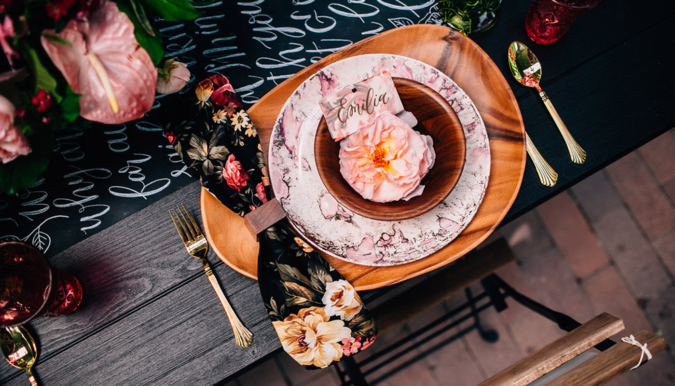 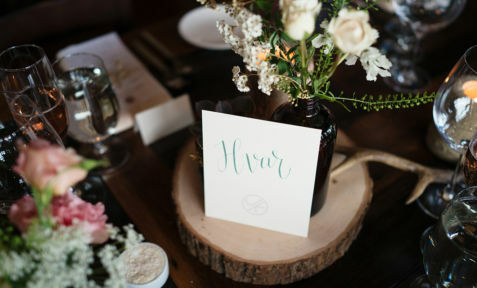 A couple of our favorite pieces were the vintage pink and gold marbled plates from Plank and Pearl and the custom-made floral napkins from Pear Tree Rentals. 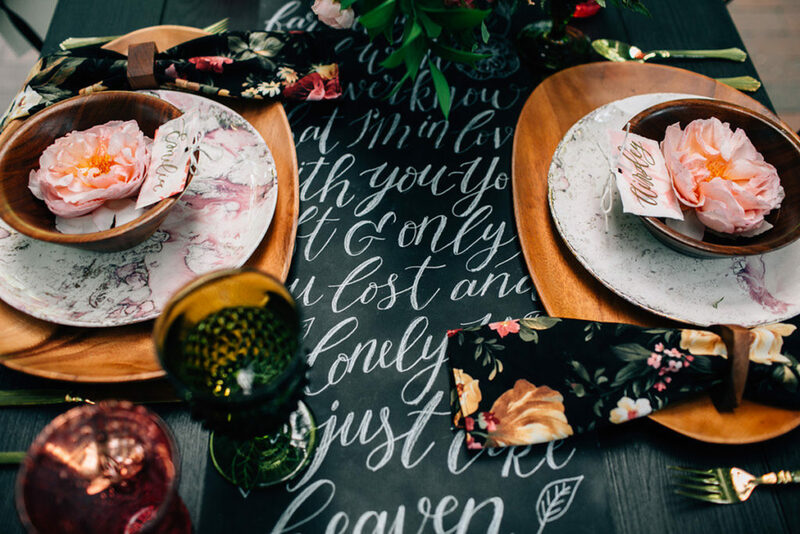 These feminine touches paired with the boldness of the black, hand-lettered song lyrics table runner and tasseled chair signs create a scene that is really youthful and energetic. 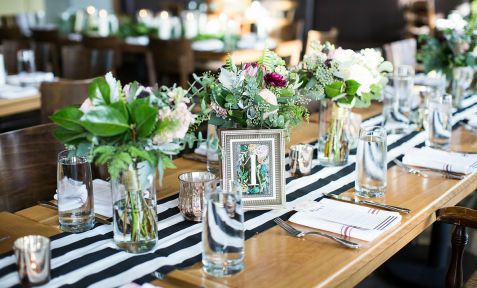 Strands of cheerful florals mixed with more tassel decor and cotton candy champagne cocktails complete an eclectic lounge with wicker furniture. 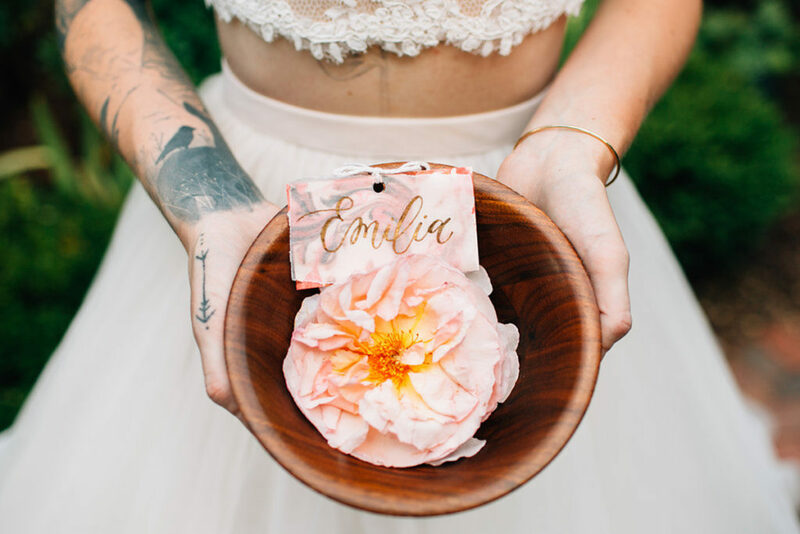 All of these carefully curated details were artfully captured by KMitiska Photography and Fearless Photography to beautifully show off the tastefully moody but bright vibe of this shoot. 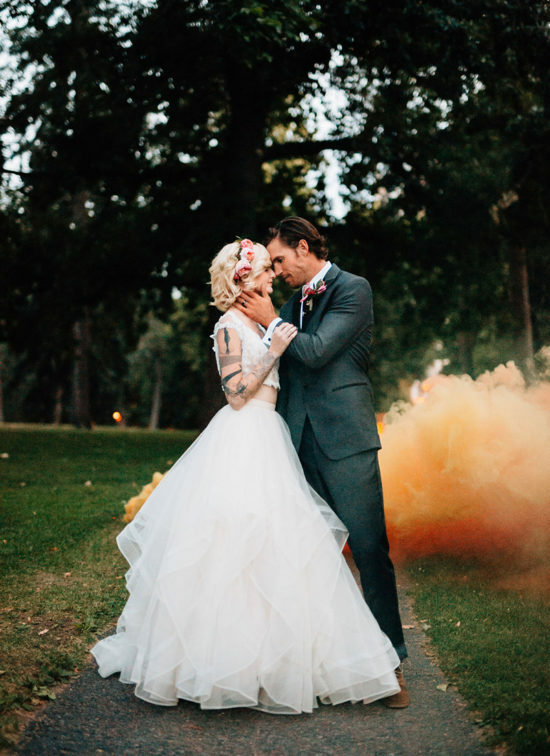 For our couple we wanted to style looks that were unique but easily achievable for any Bride or Groom. 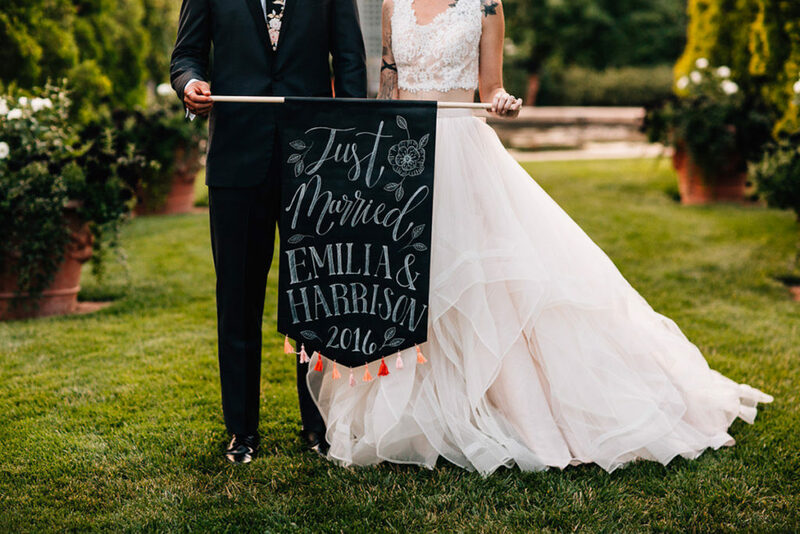 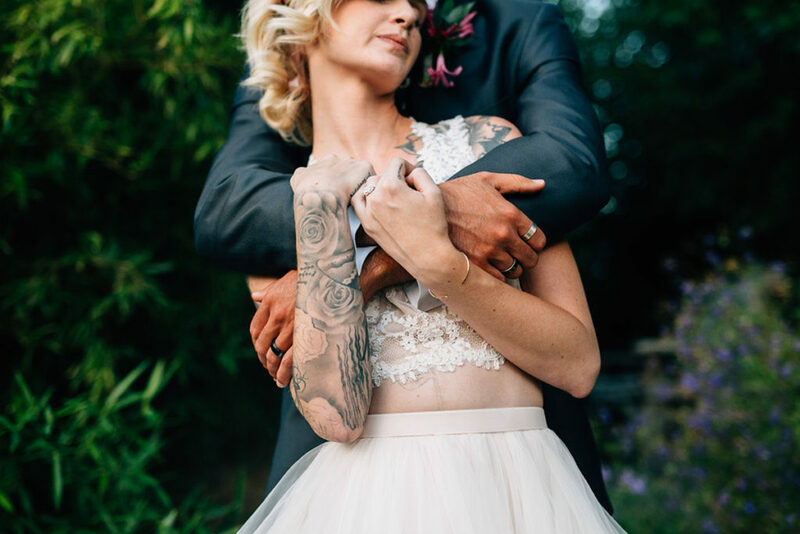 Our edgy, tattooed Bride wore a fun and flirty two-piece dress by Watters and for our dapper Groom we choose a sleek suit and a vintage floral pattern tie for a subtle eccentric pop. 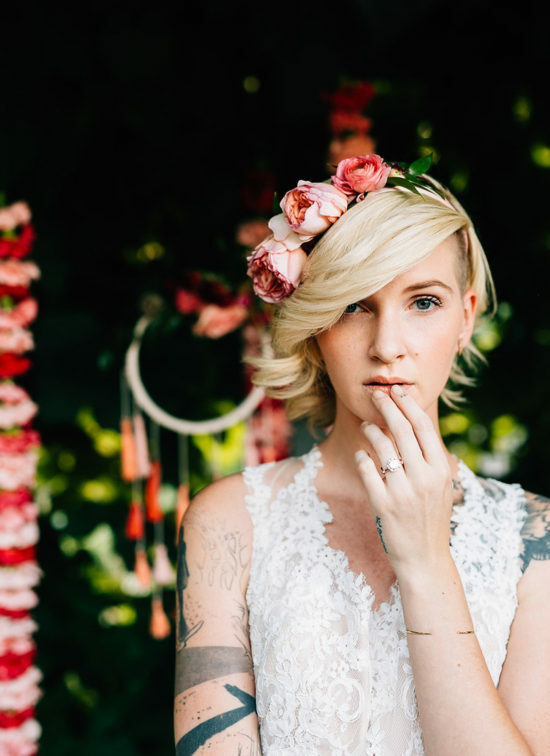 The delicate and modern jewelry from Sara O Jewelry polished off their looks. 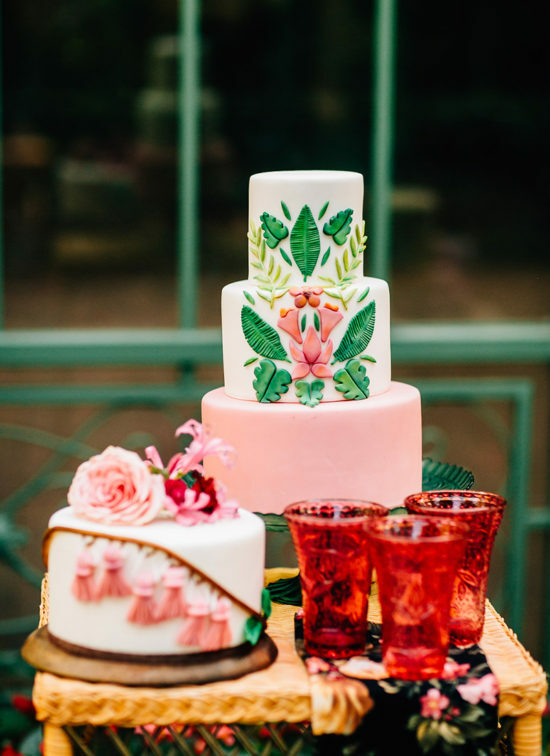 This inspiration shoot would not be complete without the unique inclusion of a live wedding painter on site! 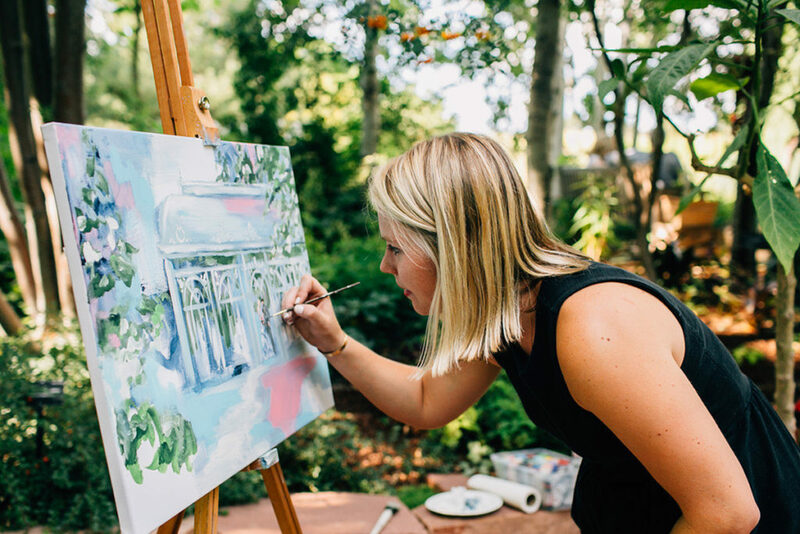 Jennie Lou Art was there to capture the mood of our concept with a lively canvas of the garden solarium.